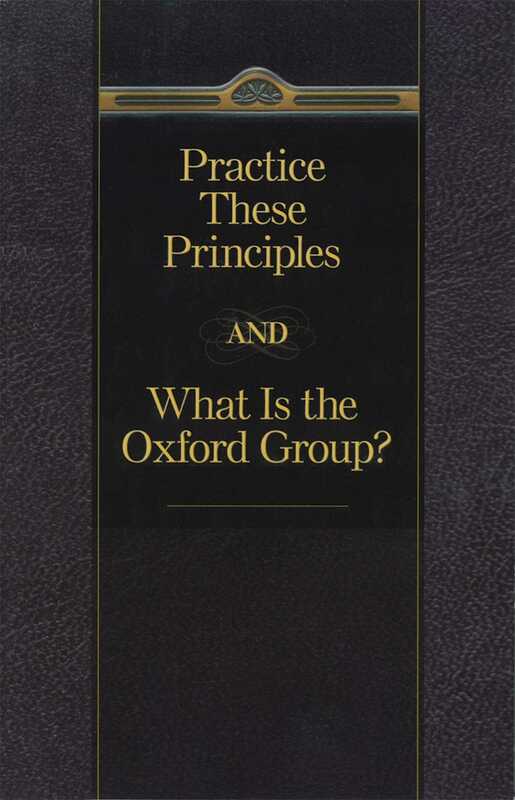 Practice These Principles is an edited, up-to-date version of What is the Oxford Group?, a core book for early AA which is also printed in this two-book volume. Those interested in A.A. history will find this two-book volume to be a must-have edition. Practice These Principles is an edited version of the original work, What is the Oxford Group? (full text reprinted) which served as a basis for the text of Alcoholics Anonymous. What is the Oxford Group? was written in 1932 and served as one of the core books for early A.A.s.